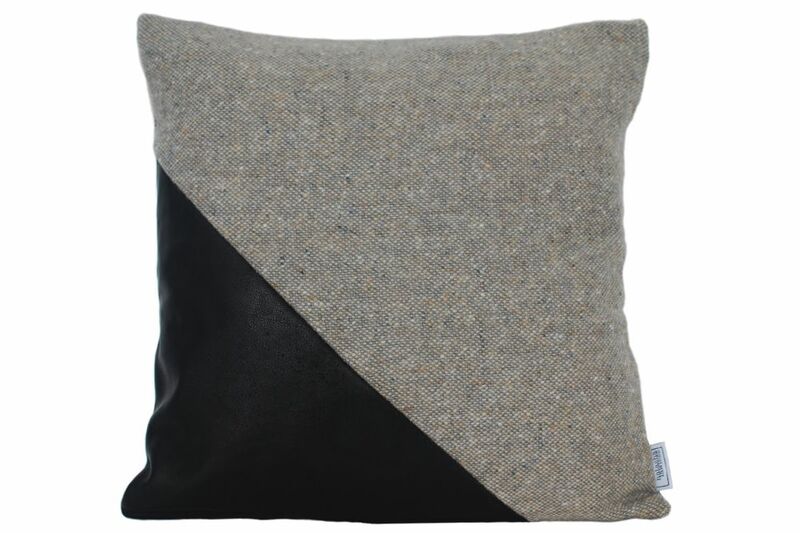 Organic leather and 100% pure woven wool cushions with envelope opening. From organic British herds, Ilua's leather is produced in a chrome-free environment and finished in a tannery free from harmful substances. The leather is left completely natural, without any plastic coating or vanishes, meaning it can breath and retain it's beautiful natural characteristics and sensational touch. Combined with the very finest Ecolabel Scottish wool that meets strict environmental and performance criteria from raw material right through to the finished product, means that the Ilua cushion is a tribute to the very best materials Great Britain has to offer. Complete with duck feather inner.